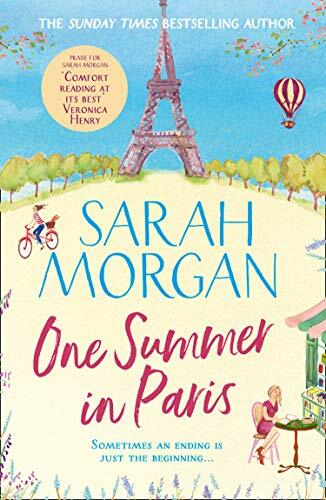 Review: I always look forward to reading a new novel by Sarah Morgan. They invariably have such great settings. When I found that this story takes place in Paris, my imagination went immediately to romance, music, amazing food and wonderful scenery. That’s what I found, encasing a beautiful story of a most unlikely friendship and enduring love. I loved this book right from the start and would put it up there with my favourite Sarah Morgan novels. The two main characters were believable and also likeable; they might have been anyone you could meet in your day to day life. Each has been dealt a blow, but has the determination to carry on nonetheless. I admired them both. I found myself laughing and crying along with them as they struggled to find their way through the various situations they found themselves in in this foreign place. They were acquaintances brought together by chance who became the firmest of friends, sharing their deepest, darkest secrets and healing in the process. I think this heart-warming tale set in such a wonderful location will make a lovely summery read, but with tissues at the ready. This sounds lovely! I adore books set in Paris, and this seems like it would be right up my alley. Wonderful review!